Simple Recent Posts Widget for Blogger Do you want to display recent posts in your blogger blog? But unfortunately there is no Recent Posts widget in blogger! I am sure you have seen so many WordPress hosted sites with Recent Posts widget including thumbnails of the post. Now the question is how you can show recent posts to your blog readers. Well I have a quick method to show your recent posts in your blogger blog, after all it is good way to engage readers, especially those readers who are coming through Facebook, Twitter, Bing, Yahoo and Google Search Engine. Because in pre made Blogger format the reader must go to homepage in order to see recent posts. So here is the quick way to show Recent Posts in Blogger Blog. Do you want to display recent posts in your blogger blog? 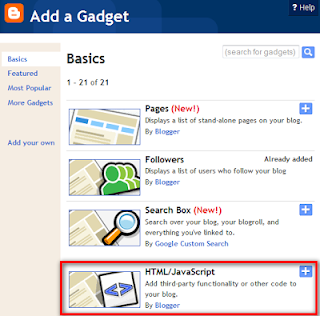 But unfortunately there is no Recent Posts widget in blogger! I am sure you have seen so many WordPress hosted sites with Recent Posts widget including thumbnails of the post. Now the question is how you can show recent posts to your blog readers. Well I have a quick method to show your recent posts in your blogger blog, after all it is good way to engage readers, especially those readers who are coming through Facebook, Twitter, Bing, Yahoo and Google Search Engine. Because in pre made Blogger format the reader must go to homepage in order to see recent posts. So here is the quick way to show Recent Posts in Blogger Blog. Step 4: Replace the colored text with your blog URL and hit save. There you go you have a simple Recent Posts widget in your Blogger Blog. Please leave your comments below and share our work with your friends.